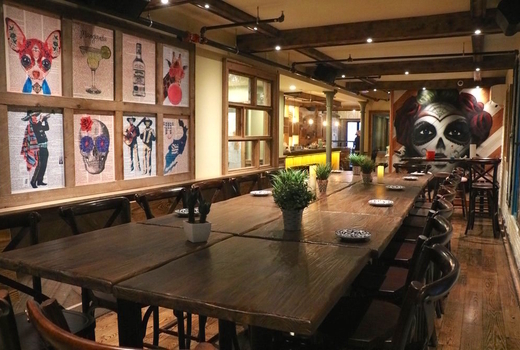 Fantastic cuisine, sensational cocktails, and a sizzling atmosphere; Toro Loco's legendary Mezcal Bottomless Brunch turns day drinking into an art form that you simply cannot resist. Grab your $59 pulse (a $92 value) for admission for two to this boozy brunch extraordinaire, featuring 2 Entrees, and 90 Minutes of freely-flowing Specialty Brunch Cocktails! You'll feast on brunch entrees masterfully crafted by Executive Chef Gustavo Mendez (Broadstone, Tanner Smith's) including the Pink Panther Pancakes (toasted marshmallow, mixed berries, white chocolate chip, maple syrup), the Chilango Omelet (caramelized onion, roasted poblano peppers, Pepper Jack cheese, chorizo) and more. Thirsty? The cocktail program by Cody Goldstein (Muddling Memories) has you covered with Mezcal Mules, Bloody Marias, Margaritas (on tap! ), flavored Mimosas and Frozen Margaritas in blood orange, mango, guava, and prickly pear. What a way to get your Vitamin C! 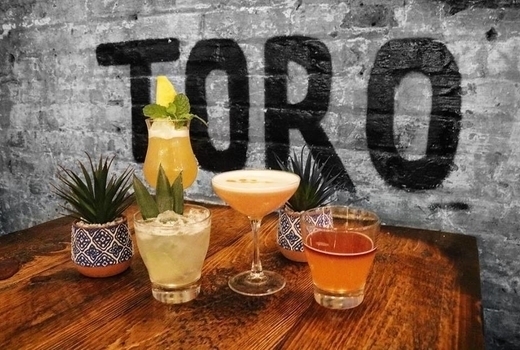 Newly opened on the historic Stone Street, Toro Loco welcomes guests with its eye-catching, pale pink entrance. Step inside, and you'll find yourself in a lush bi-level space outfitted with contemporary Mexican art, craftsman-style tables, custom lighting and original architectural details - a half-oasis, half-taqueria in Mexico City. Settle in for an afternoon of drinks, food, and fun as you dig into brunch eats such as the Breakfast Burrito (chorizo, scrambled eggs, Oaxaca Cheese, tomato jam, key lime scallion mayo) or the Chicken & Waffle Sandwich (fried chicken, queso loco, fries, maple syrup). 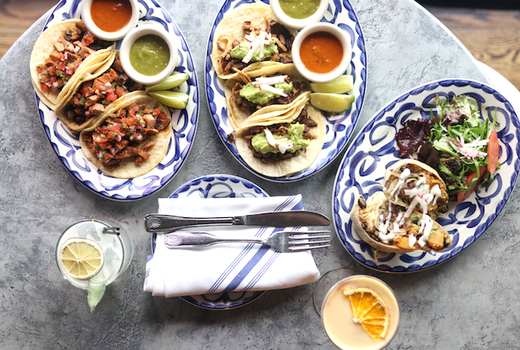 If tacos are more your thing, savor a selection of juicy options from the restaurant's authentic taqueria that include steak, chicken and fish options. Save some excitement for a truly magnificent open bar serving 12 different specialty cocktails, from Bloody Marias to Mezcal Mules to Frozen Guava Margaritas. Olé! 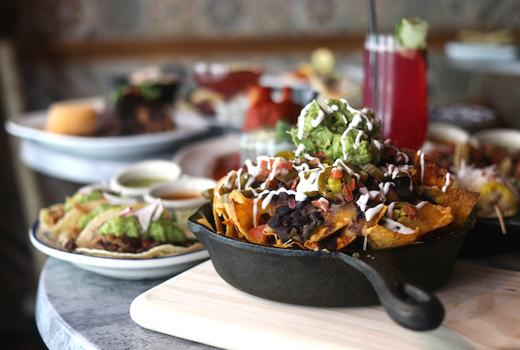 2 Brunch Entrees (choice of Platos Fuertes or Taqueria; up to an $18 value each). 90 Minutes of Unlimited Brunch Cocktails (choice of; Mezcal Mules, Toro Loco Traditional Margaritas, Bloody Marias, Mimosas (Blood Orange, Mango, Guava, Prickly Pear), Frozen Margaritas (Blood Orange, Mango, Guava, Prickly Pear), and Micheladas). 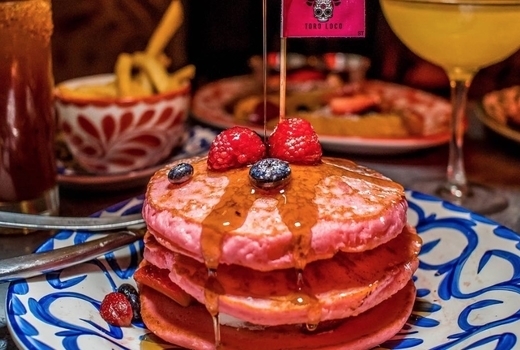 "I came here for the bottomless brunch I found on pulsd...Toro Loco takes the cake for best decorated and designed restaurant, along with one of the most entertaining brunches I've been to. The Mexican/day of the dead theme follows throughout. Very well thought out and very clean place. Over all, service was pretty damn good and quick too!" "The BEST Mexican brunch in NYC!! Don't walk BUT run to this brilliant new restaurant and bar. You won't be let down. Bottomless cocktails and phenomenal food. Service is great. You won't want to leave!!" "Great nachos and delicious guacamole. Their cocktails are strong but not overpowering. Their guacamole had large chunks of ripened avocados, making it so good. Lovely decor. Really cool and unique atmosphere. "